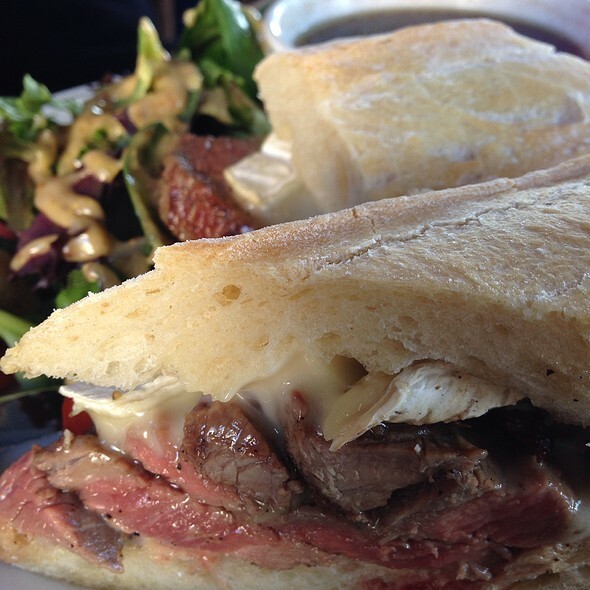 Place Pigalle specializes in seasonal menus combining local ingredients with a variety of culinary traditions. The resulting dishes "always have been artful, always entertaining, always fresh...disarmingly successful." 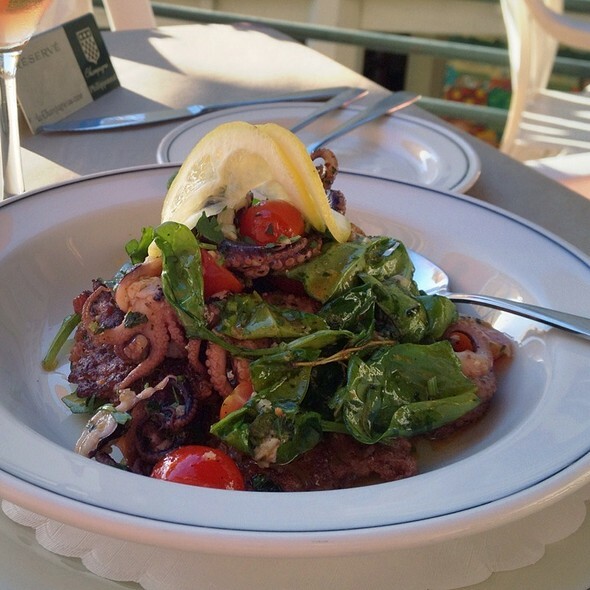 Couple such critical acclaim with a wonderful Elliott Bay and Olympic Mountain view, an award-winning wine list and a bar that specializes in the unusual and you have the reasons for this Pike Place Market restaurant's success. *Place Pigalle strives to serve foods that, when appropriate, are lightly cooked in order to showcase their succulence. Items that are raw or undercooked are noted with an asterisk. Such items may increase your risk of food-borne illness, especially if you have certain medical conditions. Beautifully quaint small French restaurant hidden in Pike Place Market with wonderful ambience, view overlooking the Sound and waterfront, outstanding food & presentation, and delightful and welcoming staff. Highly recommend. Most of the waiters have been there for years and are very good at their jobs. I especially like the French onion soup. The views of the harbor activities are special. In the summer when outside seating is available, it a great view of the harbor. Great table, team and fabulicious dining experience...thanks so much!!! Deb C.
Space is very comfortable, cozy. I went during restaurant week for lunch.I had the beet salad and the boulliabasse.The beet salad was one of the best I ever had.The bouillabaisse was excellent also.Both portions were very large.A great value for $20. This place is overpriced for the quality of the food that they serve, mediocre. The flavors don’t even compliment each other; the beans were too sweet for the duck and the cheese inside the rabbit was very strong that it overpowered the whole dish. Very disappointed. The escargot and oysters were the saving grace, and they were nothing special. Always outstanding. An absolutely lovely venue. Enjoy being there each time. We hadn’t been here in years. A Seattle classic and overall very classy place. Hidden away in the Pike Place Market. They made us welcome and the food was great. Price to quality was a little high. Also noisier than I remember. But there were a couple of large groups that night. Still very attentive staff and service. Great date or special occasion place. Place Pigalle is one of the special Seattle restaurants. The ambiance is bistro casual with small tables and linen table clothes with a great view of Elliott Bay and the Olympic Mountains. We watched the sun set when we ate dinner there recently. 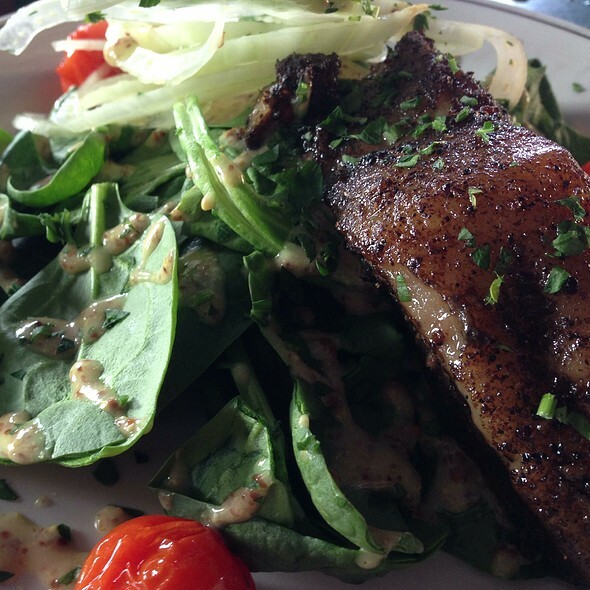 The food is superb--even the mixed greens salad is distinctive. My husband thoroughly enjoyed the bouillabaisse and the lamb steak was outstanding. We even treated ourselves to dessert--delicious! We especially appreciate that we can hear the other's conversation. Very nice view and good food. Not inexpensive. This restaurant was a special find. Reasonable price for location. Food was delicious and service was awesome. Doesn't have the tourist feel. We have eaten at Place Pigalle several time in past years but this was our first visit for some time. The food is good if relative expensive. Service was excellent. My only negative was the 2.5 % charge for "living wage" and 20% tip. I do not mind paying a good price for good food but these extra's our very annoying. The host seemed bothered when I asked for a table with a view of the water- which is one of the big draws for this place being At Pikes Place Market. It was a awkward table with a strange view, and without asking, he later closed the shade for other customers due to sunset. Acknowledging that I was there, asking if I minded the shade being drawn, given that I was enjoying the view would have gone very far in making me feel like a valued customer. The salad was tasty, the bouillabaisse was good, but not enough for me to return. This is my favorite restaurant in the US, and I live in Chicago where we have Alinea and Goosefoot. Excellent food, generous portions (consider sharing), professional service, great views, but not cheap. Guy was amazing! Eric at the bar was also great! When we visit Seattle this place is always on our list of places to eat. 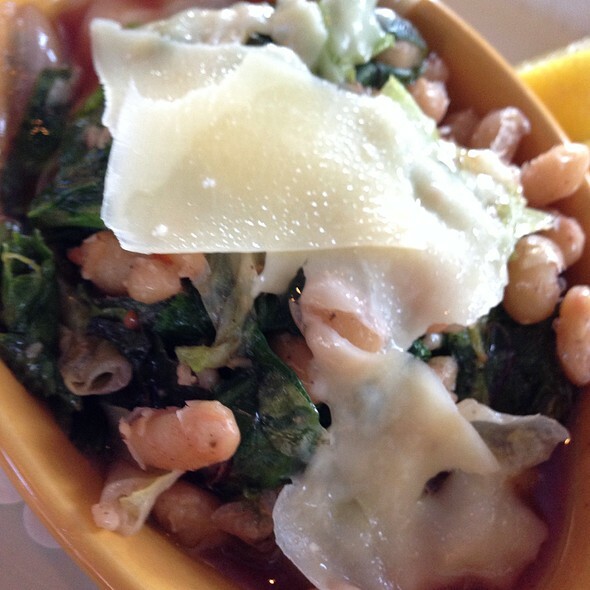 Great for an appetizer and drinks at the bar as well as a fabulous dining experience with a great view! Many reviews note the intimate atmosphere. However, there are a lot of hard surfaces, and it was, overall very loud. Difficult to hold a conversation throughout the entire night. It was not intimate at all. Food was fine, but not spectacular. Service was choppy. Waiter would go missing for 15 minutes leaving dirty plates on the table, then back again being very friendly. Overall it was OK, but, given the prices my expectations were much, much higher. I probably would not return even if they dropped their prices in half. Much better value, service, and atmosphere to be had elsewhere. Love this little gem: beautiful view, intimate, terrific menu and food, nice wine list, great service. What more does one need? Been a patron for years, and won’t stop now! Very tasty food. Friendly, attentive service. Nice setting and great views. We shared the foie gras appetizer, a large plate with toast, cornichons, whole grain mustard, strawberries, it was plenty to share. We also shared a warm beet salad with arugula and goat cheese,also-plenty to share. I had the king salmon special which was done perfectly. My husband had the lamb steak and his was cooked perfectly also. If you want to sit by the window they sit people by the windows as they arrive, so either get there before 6 or wait until later when the early diners are leaving. The wine selection was a little limited as they were out of some bottles the were on the menu. Service was very good. Consistently excellent. One of my favorite spots. Great little spot with about 15 tables. 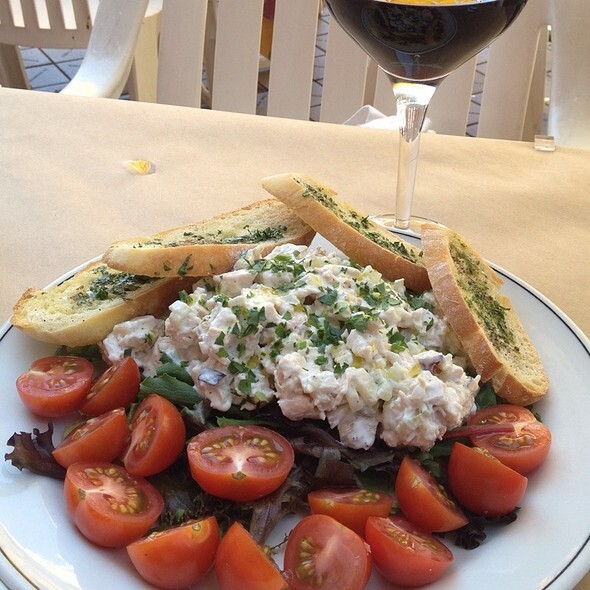 Food has always been very good, wine selection robust, and service is wonderful. A go-to for us for out-of-towners who want a Pike Place experience. Biggest issue was almost all of the food was masked with one flavor and lacked balance. The seasonal salad was drowning in dressing. The rack of lamb was plated in a pool of demi glaze. The price of the food wasn’t worth it. Nice ambiance and service! Excellent location, view, food, and service, would definitely recommend for a romantic dinner. 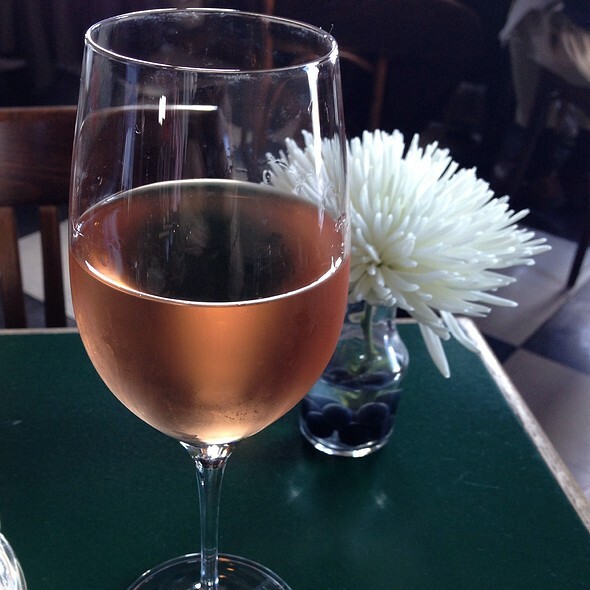 Escaping the cold and rain (and the crowds of Pike Place Market), we were immediately glad we chose Place Pigalle! Warm and inviting, it feels more homey and intimate than we were expecting. Almost like an English pub. We had a window table with a view of Elliott Bay, West Seattle, the Great Wheel, and the ferries coming and going. Very nice ambiance. Not crowded at all on this day. Our waitress (Emma) struck the perfect balance between attentiveness and privacy. 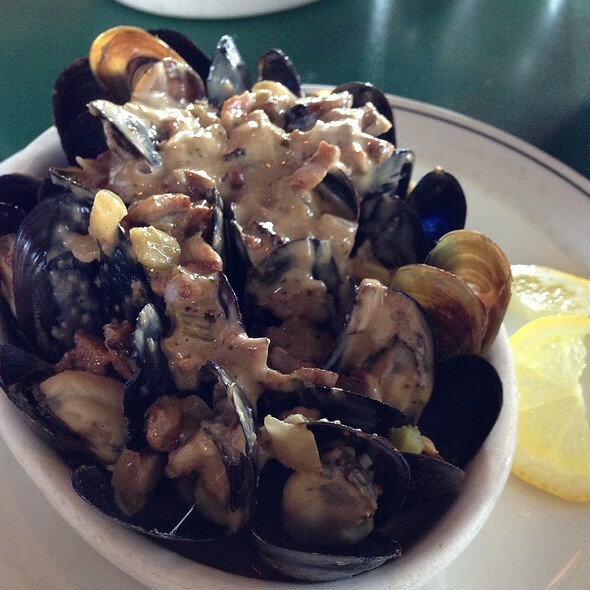 We had mussels as an appetizer - which was very good. For our entrees, my wife had the seafood bouillabaisse and I the pasta du jour. Both were very good. No complaints. A great spot to retreat to while visiting Pike Place Market. We'll be back. In a Trip Advisor review, I focused on the floor manager not acknowledging our anniversary at any point --not responding to table request, no mention at all. That's not what should be the focal point, but it does go to some real deficiencies with Place Pigalle. From the seated floor manager (looks lazy as you enter) to the lack of coat space (when the hooks were full, the fellow just shrugged his shoulders) to a kind of factory pace of food delivery-- it all adds up to the place just not delivering. And it used to deliver. My pork chop was quite fatty, my wife's duck we think had the same sauce as my pork (sweet in a masking kind of way) and the apricot torte was just unappealing. Our server was a nice fellow so wouldn't fault him, but there are too many places that try harder and deliver more in Seattle. Always delicious food and intimate space to dine. A favorite place to go. Lovely evening with a table overlooking Seattle harbor lights. 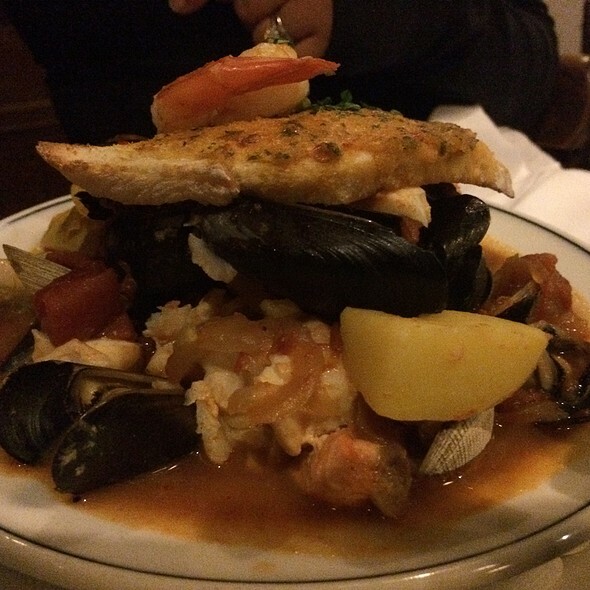 I enjoyed bouillabaisse with local fresh fish; great take on a French classic. Friend had black cod which she enjoyed as well. Apple, blue cheese, and endive salad starters with creme brûlée for dessert. Will definitely be back. The escargot and oysters were delicious. I had the duck. It was sickeningly sweet with maple syrup. My husband had the lamb chops which were ok for $40??? Our friend had a dried out pork chop, and his wife had an ok serving of black cod. 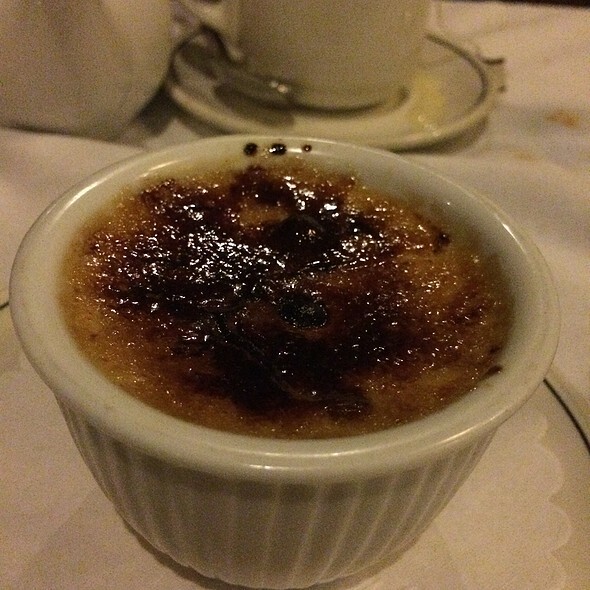 For dessert we shared crème brulee which was possibly the best I've ever had. For years one of my go to favorites. Always tasty good quality food, attentive service, cozy ambiance. The drinks were delicious. My girlfriend had a glass of smooth Cabernet and my classic Manhattan was also wonderful. The onion soup was delightful. My girlfriend had the black cod and loved it. I had the pork chop and it was cooked to perfection. Great views there if you can catch a sunset. Perfect location with great food and good service! Always outstanding! Never miss this restaurant whenever I am in Seattle.